Bleak as matters were for the Los Angeles Dodgers throughout much of the series with the Cincinnati Reds, they looked the part of a postseason contender in a 9-7 win over the St. Louis Cardinals. Clayton Kershaw exercised his demons at Busch Stadium by turning in a strong start and contributing at the plate. He was provided with a 3-0 lead before throwing a single pitch, thanks to a two-run triple from David Freese and Matt Kemp’s RBI single. Back-to-back doubles by Justin Turner and Manny Machado to start the third inning extended the Dodgers’ lead to 4-1. Kershaw then helped his cause by pulling the bunt back and flaring an RBI single into shallow left field in the fourth. That knocked Cardinals starter Austin Gomber out of the game but Chris Taylor kept the line moving against Tyson Ross. Taylor greeted the veteran right-hander with an RBI single, and productive outs from Turner and Machado capped off the four-run inning that blew the game open for the time being. 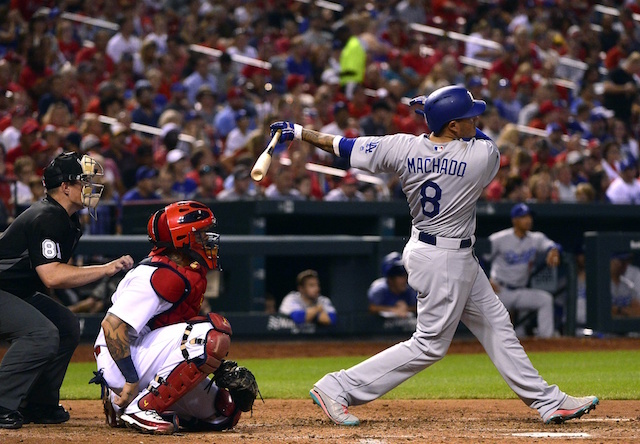 Machado’s home run in the seventh provided breathing room, left him a triple shy of the cycle, and extended the team’s Los Angeles franchise record to 21 games with a homer. Spotted with an early lead, Kershaw allowed a single and double to start the bottom of the first inning. He limited the damage by picking up a pair of strikeouts, one of which came after Marcell Ozuna’s RBI groundout. That seemingly set the tone for the night as Kershaw had seven strikeouts through three innings. A strong believer of getting his team back in the dugout after a big inning, Kershaw needed all of seven pitches to retire the Cardinals in order in the fourth. He was aided by Machado making a web-gem caliber of a play on a ball that skipped off Kershaw’s glove. Oddly, the groove Kershaw settled into was disrupted when Ross launched a solo home run to center field in the fifth inning. Miscommunication between Kershaw and Austin Barnes resulted in a bunt single, Yairo Muñoz pulled a base hit through the left side, and an error on Freese loaded the bases. Ozuna’s RBI single chipped away at the Dodgers’ lead, which then was further cut into on Paul DeJong’s sacrifice fly. 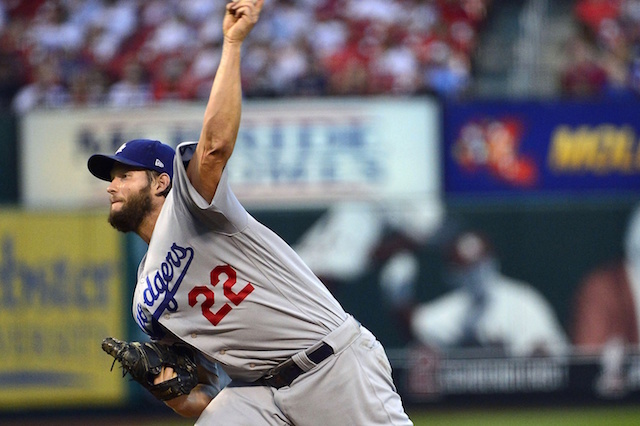 Wile maddening, there wouldn’t an all-too-familiar collapse for Kershaw. He retired Jedd Gyorko to end the inning and stranded a double and walk to get through the sixth. The eight hits were the most Kershaw hits allowed since April 20, a stretch of 18 starts, when the Washington Nationals tallied a season-high nine hits off the left-handed ace. And while the three earned runs allowed (four total) snapped Kershaw’s streak of holding opponents to two earned runs or fewer at nine starts, he extended a personal winning streak to five games. 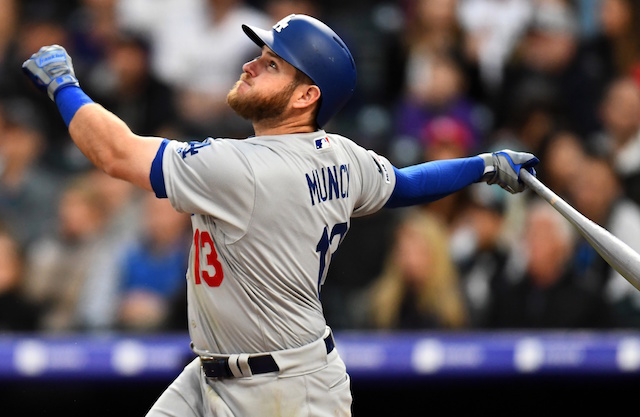 More importantly, the Dodgers kept pace with the Colorado Rockies to remain 1.5 games back in the National League West, and pulled to within a single game of the Cardinals for the second Wild Card spot. Getting there was not smooth sailing, however, as the Cardinals loaded the bases with one out in the bottom of the ninth inning. Kenley Jansen induced a would-be game-ending double play ball but Machado’s throw to first base went off Cody Bellinger’s glove, allowing two runs to score. Jansen, who fought command troubles throughout his appearance, retired pinch-hitter Matt Adams to finish out the game.